A classic "keeper" vegetable for colder climates. 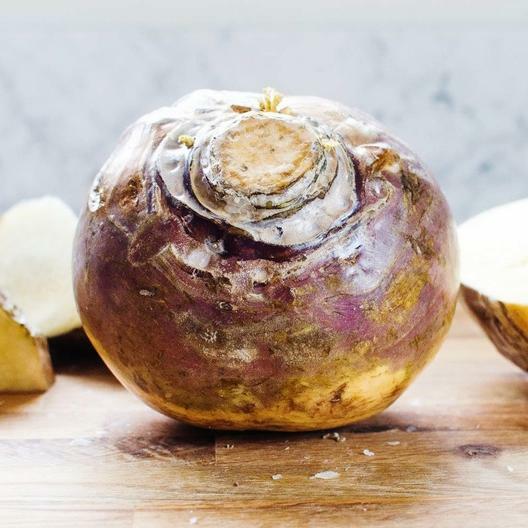 The American Purple Top Rutabaga produces very large yellow roots with brilliant purple globes. The succulent flesh turns an orange/yellow color when cooked.